Every revolution changes people's lives – and that already starts in the kitchen. A case in point: How about not having to drive to the supermarket on Saturdays ever again to carry cases of water bottles into your pantry? 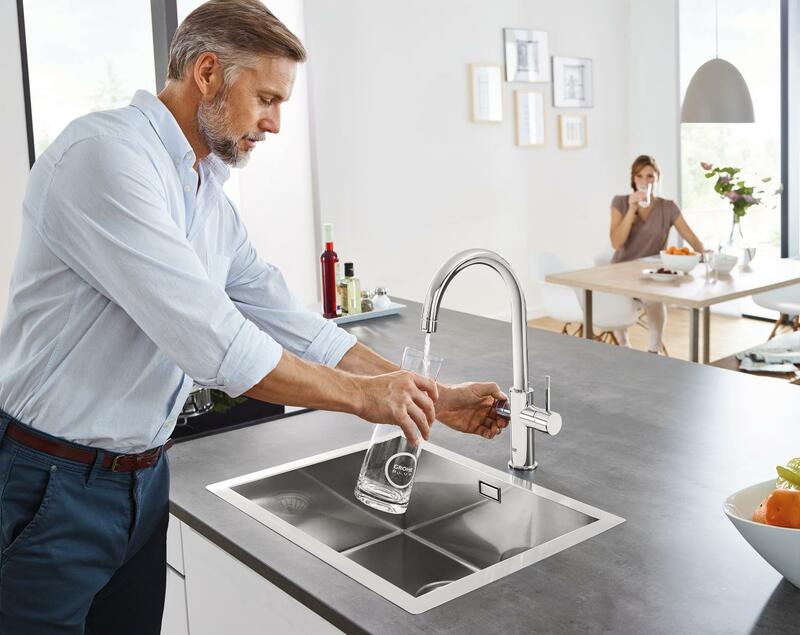 Instead, you can now pour still, medium or sparkling water that is tasty, filtered and chilled to the optimum drinking temperature directly from a striking kitchen faucet. The epitome of this convenient enjoyment is called GROHE Blue Home. 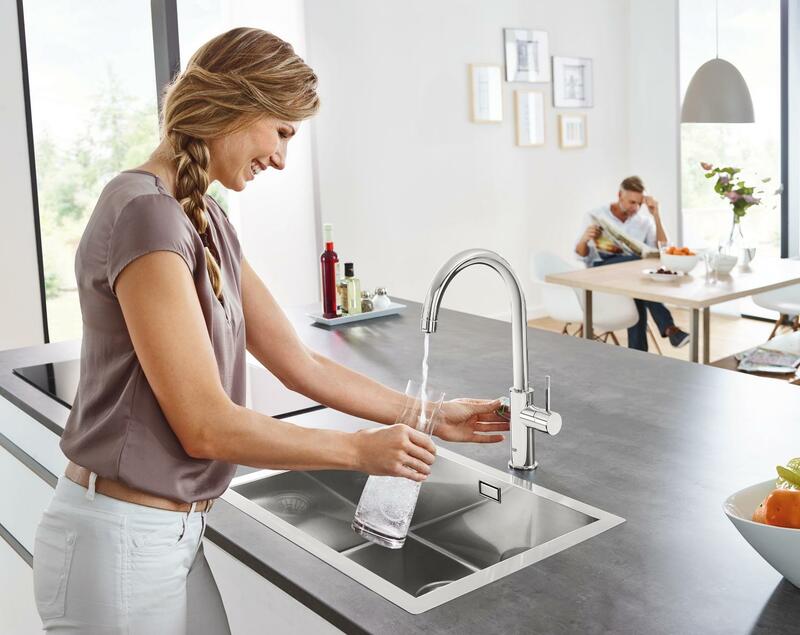 With the complete GROHE Blue Home water system consisting of a special kitchen faucet and a cooler with an integrated filter and a CO2 tank, there is always enough drinking water at your disposal, even if unannounced visitors stop by. The fresh premium taste will delight everyone. In addition, time-consuming and exhausting shopping trips for cases of water as well as extra storage space are no longer needed. And speaking of space: GROHE Blue Home will find its spot even in the smallest kitchen. The compact design of the drinking water system fits in almost every kitchen and can be easily installed in just a few steps. Kitchen cabinets with a width of 30 centimetres are already big enough for the installation of the cooler. The integrated filter for optimum water quality and the CO2 tank for sparkling water enjoyment can be changed easily at the front of the unit. Replenishment can be conveniently ordered in the GROHE Blue online store and delivered directly to your home. There are also advantages when it comes to lifestyle. Those who use tap water drink up to 35% more than users of bottled water . At the same time GROHE Blue Home even saves money. 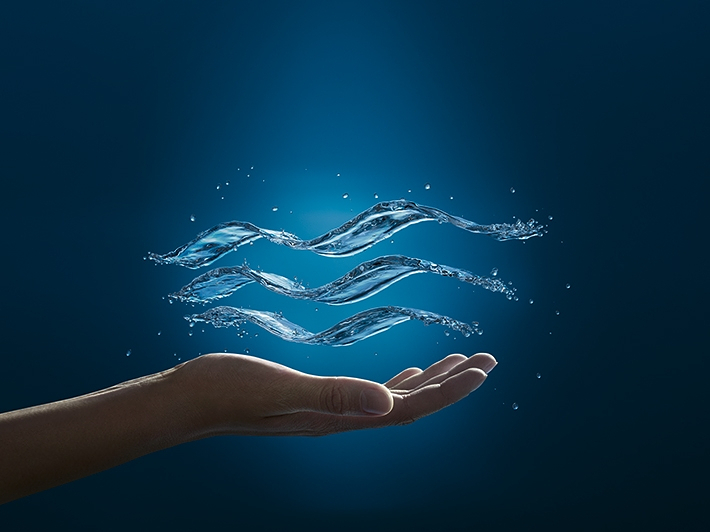 Compared to the consumption of branded bottled water, costs are reduced by up to 60%. Using the private household’s water only costs about 15 cents per day. The CO2 consumption is also reduced by about 61% compared to bottled water.